GENEVA – Two local governments in Switzerland now accepts tax payments via BitCoin. Last week the Swiss municipality of Chiasso announced that next year it will begin accepting tax payments via BitCoin. From January 2019 onward, tax bills of up to CHF 250 will be payable with cryptocurrency. If the initial trial for the payment proves to be successful, the system will be expanded to accept larger amounts. 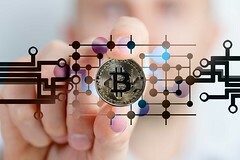 The move to accept cryptocurrency comes as an effort to compensate for the tax revenues being lost due to the diminishing local banking sector, and also in order to solidify the local cryptocurrency industry. The local government has reputedly made significant efforts to establish the region as a prime location to base a cryptocurrency start-up. Chiasso is not the first part of Switzerland to try and woo cryptocurrency businesses, with Zug already having made a similar push. Some experts have already said that the ready acceptance of cryptocurrency in Switzerland places the country at the forefront of technological adaptation around the world.